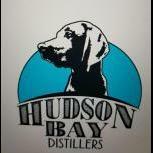 Hi everyone, i am currently looking for box supplier in Québec, Canada for our future spirits bottles any leads? Thank you ! We are looking as well. Will let you know what we find. Great Little Box Company in Vancouver are fantastic and will custom make what you need. We used Cascades packaging down here in Southwestern Ontario.. I believe they have pretty widespread distribution. They will make custom packaging that is also compliant with provincial liquor stores specs.